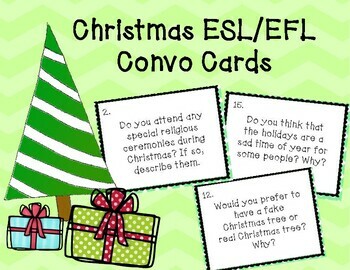 Using conversation cards is a great way to get students talking to each other in any language classroom. This particular set works best in an ESL or EFL classroom. 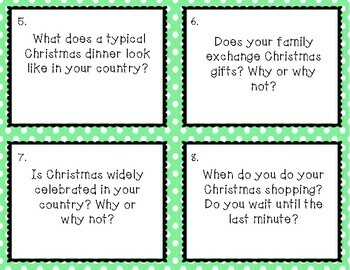 I hope that these questions will provoke genuine conversations between your students. This product includes 18 conversation questions. 1. 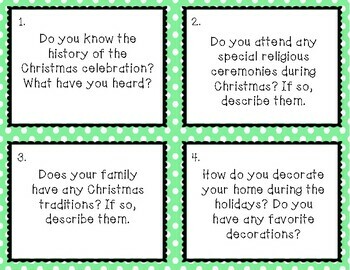 Have students work with a partner and pass out a card to each pair of students. After 3-4 minutes you can ask the students to rotate to a new partner and have students rotate the cards in the opposite direction. This way for each conversation there is a new speaking partner and a new question! 2. These cards can also be used as writing prompts. 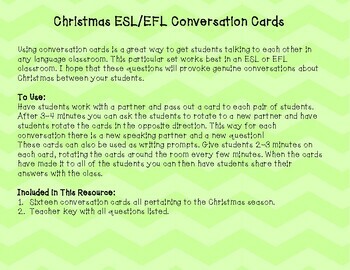 Give students 2-3 minutes on each card, rotating the cards around the room every few minutes. When the cards have made it to all of the students you can then have students share their answers with the class. This is my first set of cards that I have made on my own, so I welcome your feedback.